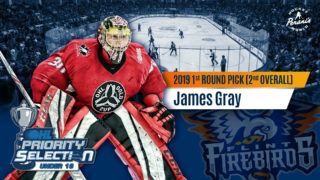 Flint, Mich – The Flint Firebirds announced today that the club has completed a trade with the Windsor Spitfires for goaltender Brendan Johnston. 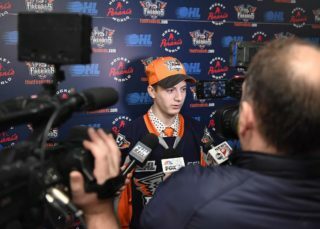 Johnston was selected by Windsor in the fifth round of the 2013 OHL Priority Selection and has played 38 games in the OHL with the Spitfires. The Firebirds in return have traded their sixth round pick in the 2017 OHL Priority Selection. 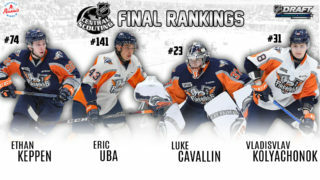 “We are very excited to obtain a goaltender that has OHL playing experience at a time when we will lose Alex Nedeljkovic to the United States National Junior Team that will participate in the 2016 IIHF World Junior Championship held in Helsinki, Finland,” said Terry Christensen, Flint Firebirds General Manager. Johnston started the 2015-16 season with the Chatham Maroon’s in the Greater Ontario Junior Hockey League (GOJHL) and is a native of Port Lambton, Ont. He is expected to be in uniform for Flint tomorrow night against the Spitfires when the Firebirds travel to Windsor.